Rarely Available updated 2 bed, 2 bath townhome in beautiful Huntington Woods. Conveniently located in NE Hickory! Kitchen offers lots of counter and cabinet space with pantry. Large master bedroom with full bath. Second bedroom has large full bath with laundry room. The living room has a fireplace, vaulted ceilings and 3 large skylights with added solar screens. 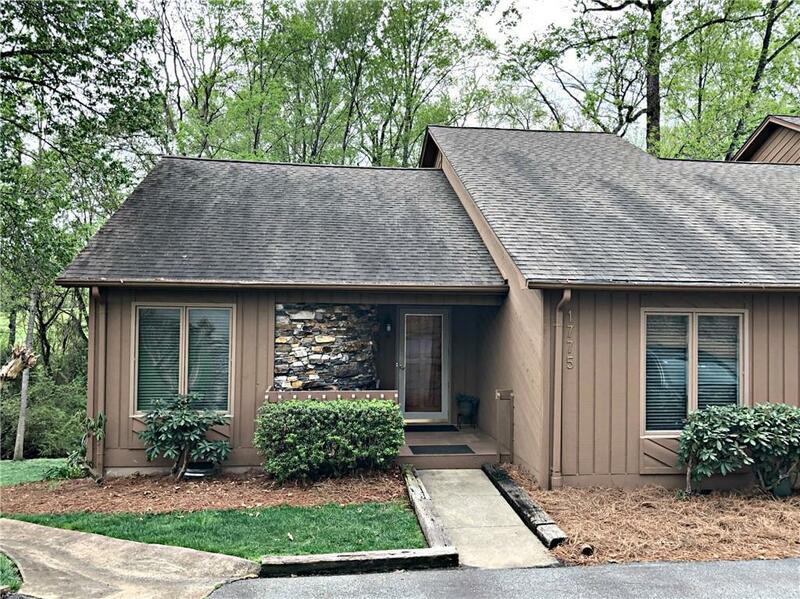 Upgrades include ceramic tile floors in kitchen/baths, New bathroom counter tops, changed out skylights to real gen. skylights, popcorn ceiling removed, new doors, carpet and paint, 12X16 storage under deck. Basement has been recently concreted, plastic barrier sheeting, additional lighting, new refrigerator, dishwasher and dining room light. HOA painted building, new decks overlooking a beautiful stream and HH Golf course. HOA maintains landscape/roads/trash and community pool. Also Located near Lenoir-Rhyne University, Viewmont shopping district and easy access to Hwy 127. Call today for your private viewing!